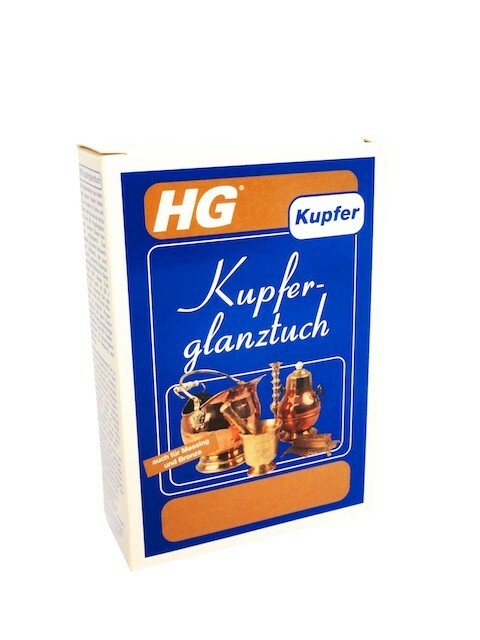 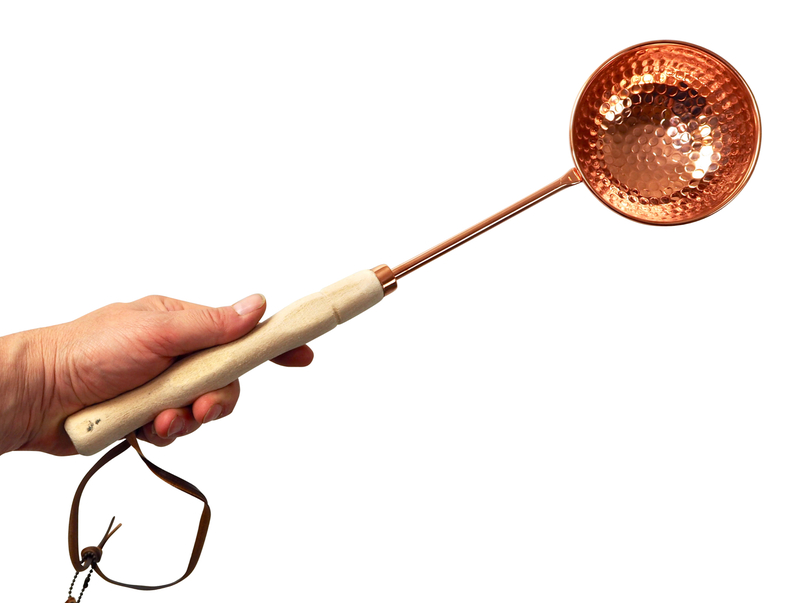 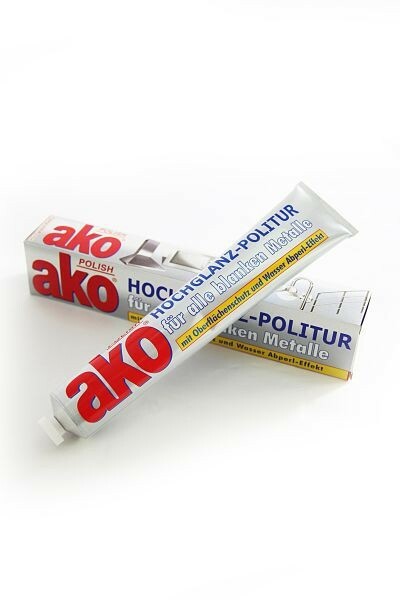 Would you like to have a pot made of real copper? 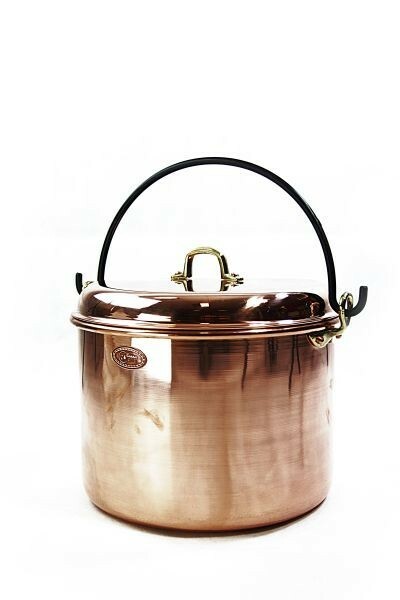 This lovely, hand-forged, versatile copper pot will certainly become your favourite very quickly! 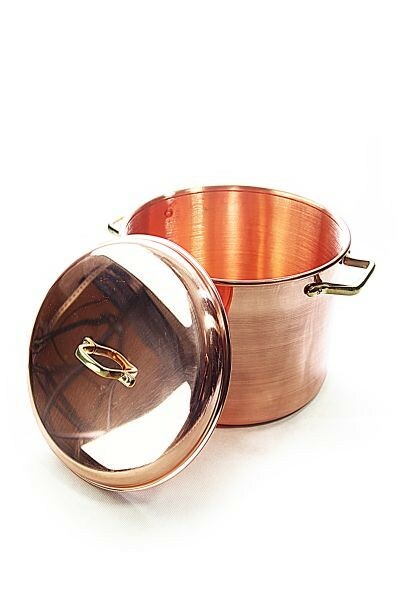 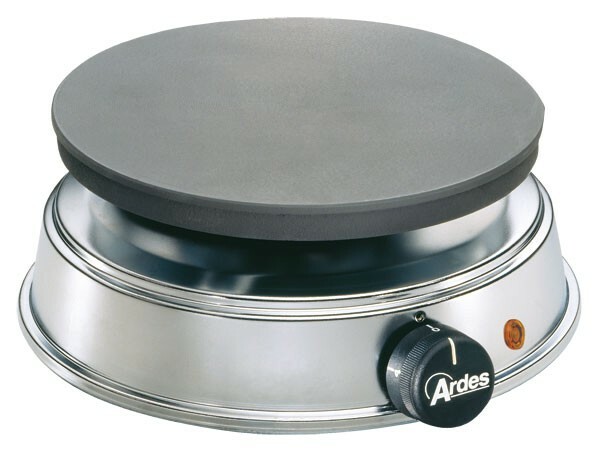 This very versatile copper pot with lid from the well-known brand "CopperGarden®" is ideal for the preparation of stews, soups and traditional specialities - regardless of whether you cook over an open fire or on a gas or electric stove. 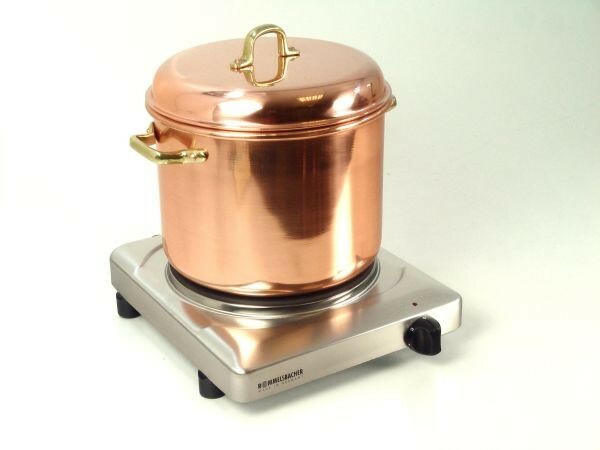 Italian polenta, octopus in red sauce (Gallego), fondue, risotto, couscous, marmelade, chocolate, marzipan, butterscotch, whipped egg whites, roasted almonds, all milk dishes, cheese, Feuerzangenbowle, beer, mulled wine. 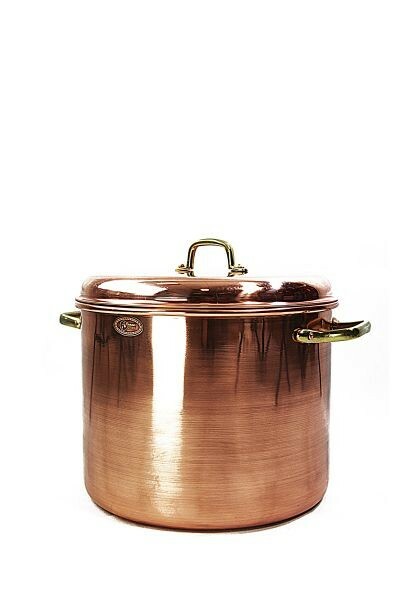 However, the pot is not only for cooking - when not in use it is also a decorative item for your kitchen. 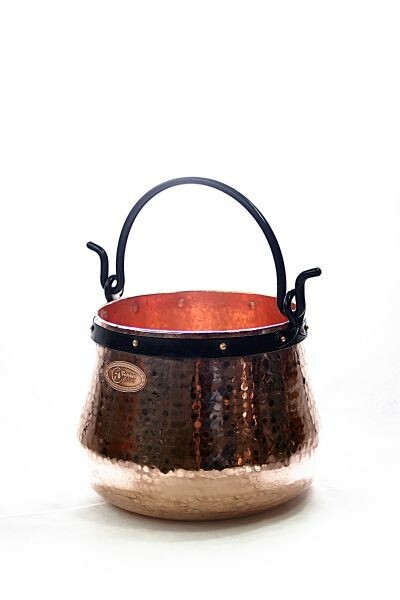 The hand-worked copper and the hand-made brass handles make this pot a real eyecatcher.